Wow. 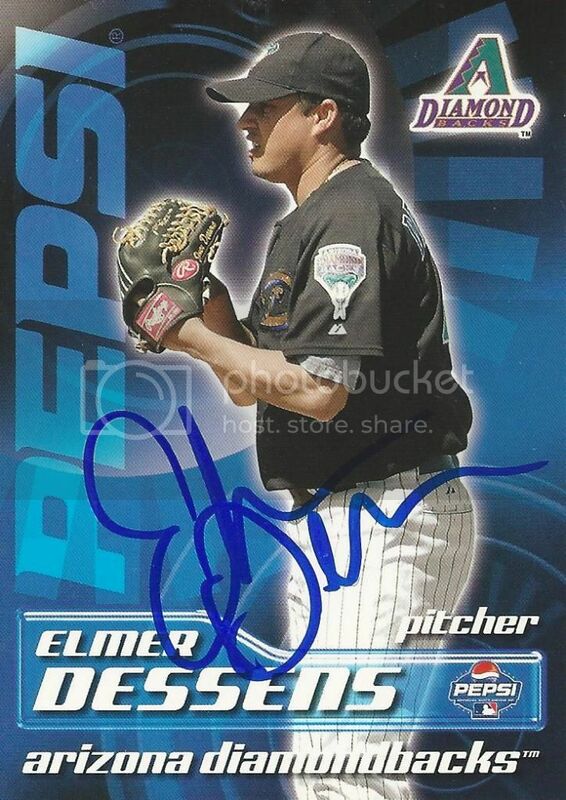 I haven't done a 2008 Topps post in awhile. I've gotten a few new things for our collection that I need to scan. Maybe I'll work on that this weekend. 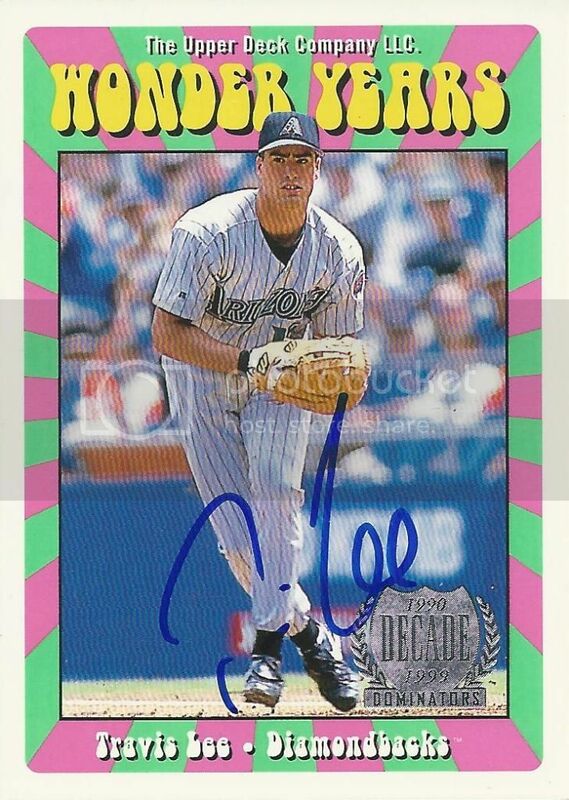 In the meantime, here's a card that former Chicago White Sox outfielder, Jerry Owens, signed for us. I sent Jerry a TTM request earlier this year c/o the Lancaster Barnstormers of the Atlantic League. It came back a few short days later signed. 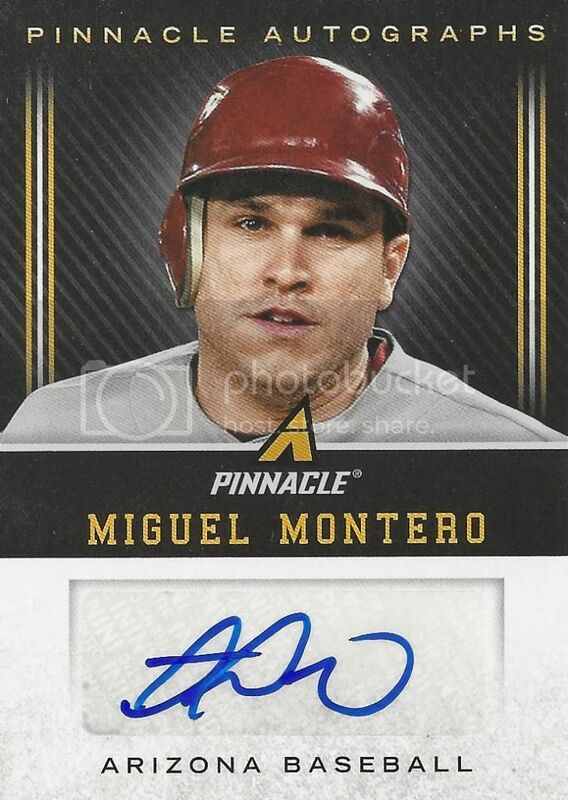 Miguel Montero is my wife's favorite player so I try to look for his cards sometimes. I got this certified autograph from the 2013 Panini Pinnacle set for $2 shipped. Miguel hasn't had the best season this year. Injuries, etc have held him back some. Hopefully he can bounce back and regain his All-Star form from 2011. Man, everybody in Phoenix loved Junior Spivey in 2001. He was the hot rookie who got called up and provided the Diamondbacks with a spark that helped lead them to the World Series. With more playing time he put up some good numbers in his sophmore season and was even named to the 2002 National League All-Star team. After that he was traded to the Brewers and slipped off into obscurity. We caught up with him at the Alumni Game last month and had him sign this 2002 Fleer Triple Crown card. For whatever reason, Spivey has been kind of elusive for me so I was glad to get this one signed. If you're curious, this is our final Alumni Game post. With unintentionally sporadic posting I ended up dragging this out for almost a month. 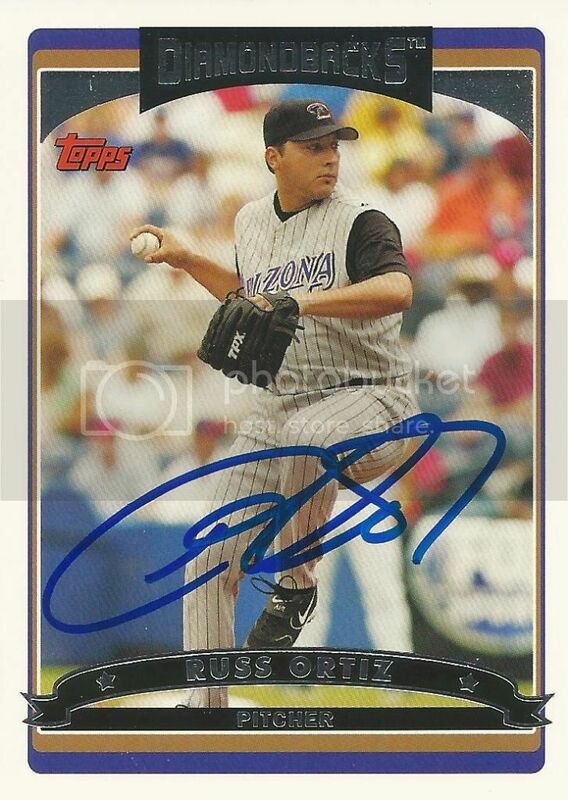 Okay maybe Russ Ortiz didn't do so well for the Diamondbacks but I still like the guy. He put up some great numbers for the Giants. He was an All-Star for the Braves in 2003. I'll just try to ignore the 7.00 ERA he had with the D-Backs. 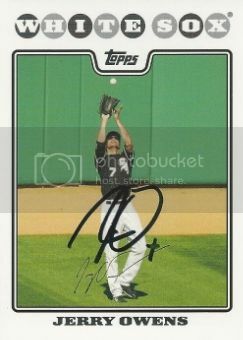 Russ signed his 2006 Topps card for us at the Alumni Game. 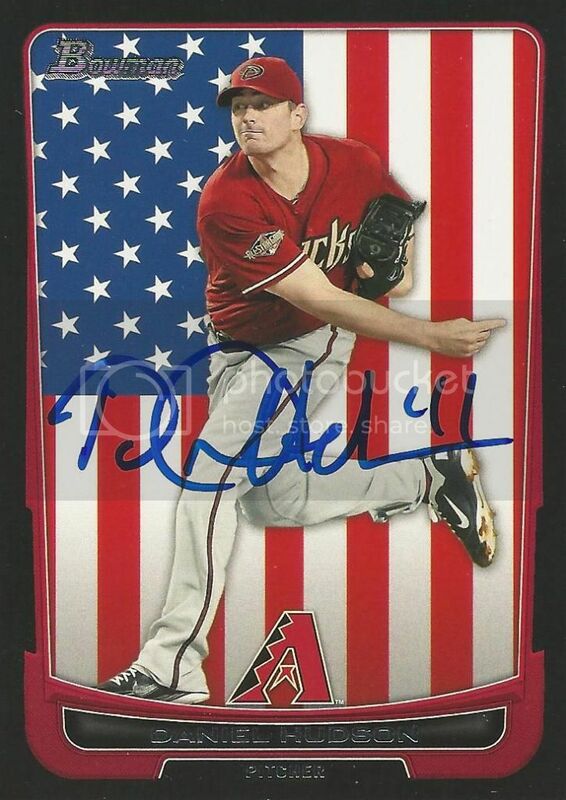 This will be considered an upgrade over the certified autograph we already had for our D-Backs collection. Mike Morgan finished up his 22 year career with the Arizona Diamondbacks. We were the twelfth team he had played for which was a record then. 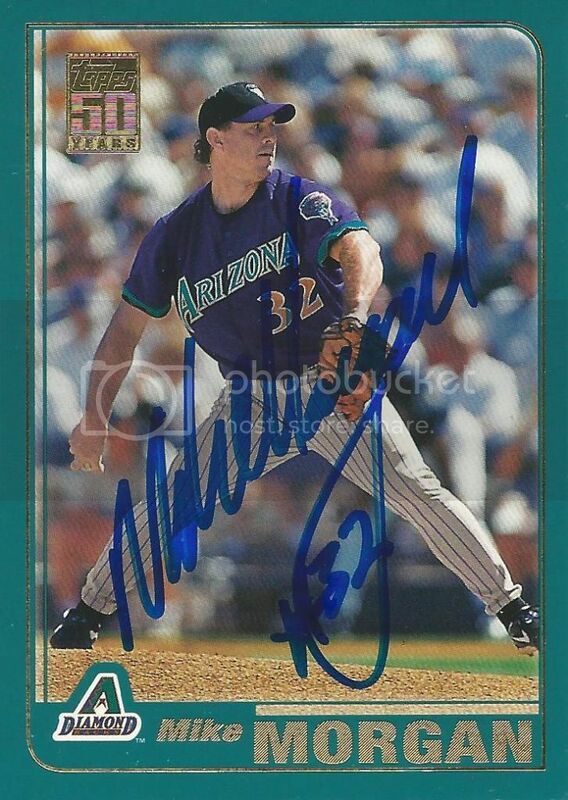 Mike pitched for the D-Backs from 2000-2002. He was mostly utilized out of the bullpen but did get a few spot starts. Most importantly he pitched four scoreless in the 2001 World Series. Mike signed his 2001 Topps card for us at the Alumni Game last month. He's a great guy. Super friendly. 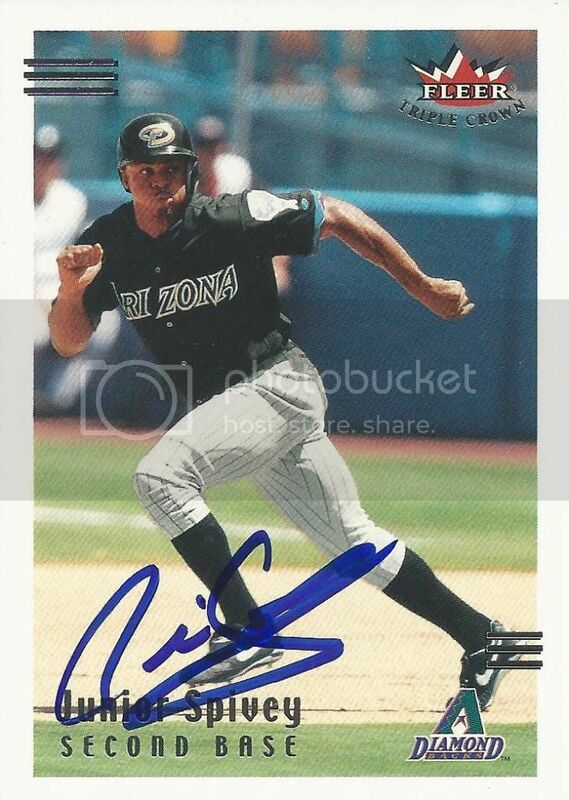 Travis Lee was my first favorite Diamondbacks player. He was the hot rookie during our inaugural season in 1998. He got the first hit and first home run in D-Backs history and finished third in the NL Rookie of the Year voting. 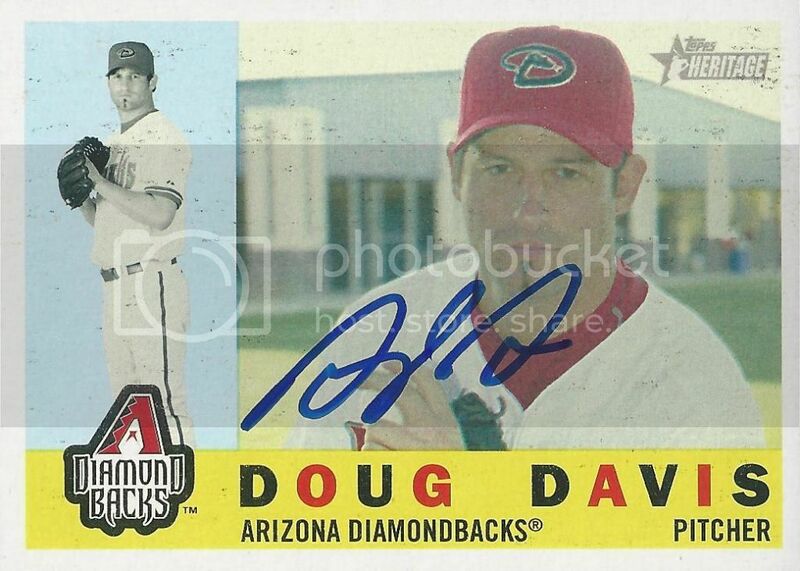 Travis played 338 games for Arizona before being dealt to the Phillies during the 2000 season as part of the package that brought us Curt Schilling. Travis signed this psychedelic card from the 1998 Upper Deck Wonder Years insert set for us at the Alumni Game last week. Outfielder Bernard Gilkey was traded to the Diamondbacks from the Mets at the trade deadline in 1998. 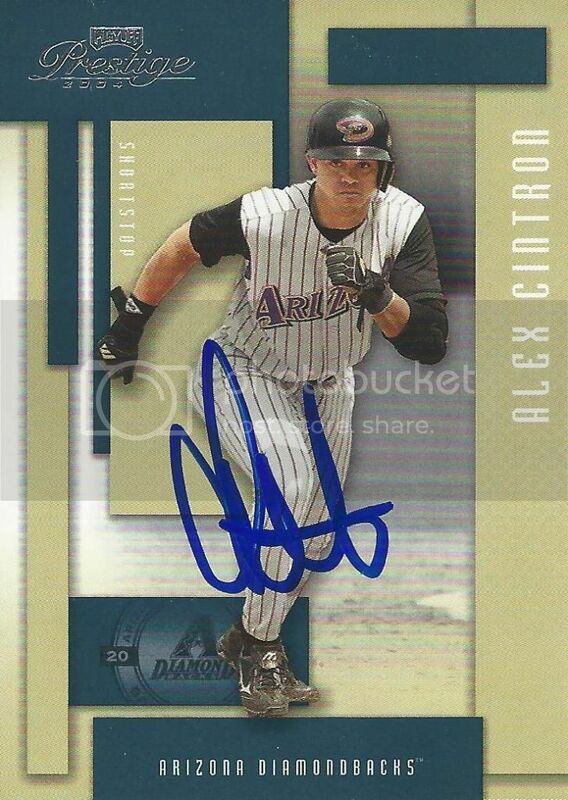 He played in 162 games for the D-Backs before being released halfway through the 2000 season. 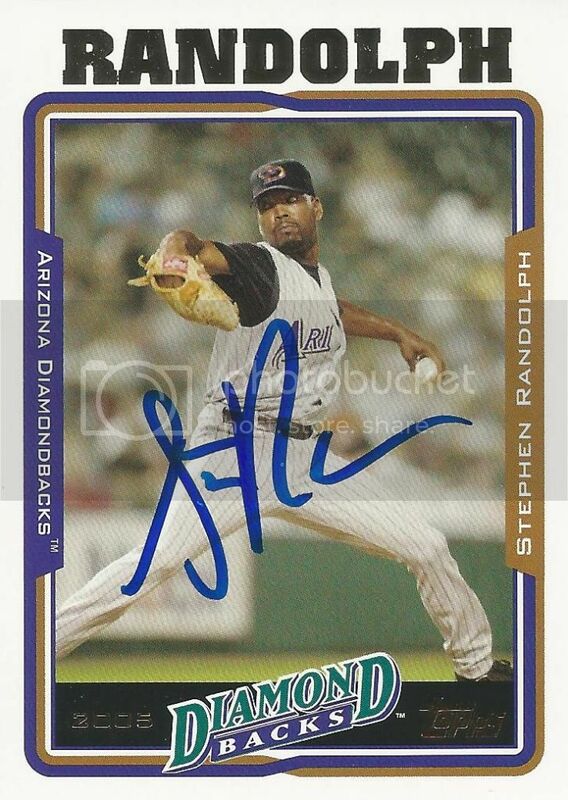 Bernard signed his card from the 2000 Topps set for us at the D-Backs Alumni Game. He wasn't scheduled to be there this year so this was a nice surprise.